In a speech given to his party’s parliamentary contingent on Saturday, Turkish President Recep Tayyip Erdoğan said that 181,500 people who had had their passports suspended under suspicion of membership of the Fethullah Gülen movement would soon have them returned to them, pro-government newspaper Habertürk reported. He also told party deputies that the first cabinet meeting would take place after Friday prayers this coming Friday, and that the new era would be one of “continual reforms”. On the subject of terrorism, Erdoğan said that Turkey would adopt a new security concept that would strike at terrorists at their roots. He said that the main opposition Republican People’s Party (CHP) had helped a “party of questionable legitimacy” – meaning the pro-Kurdish Peoples’ Democratic Party (HDP), which the government now says is an offshoot of the militant autonomist Kurdistan Workers’ Party (PKK) – to return to parliament. “We will not tolerate institutions joined to the terror organisation (the PKK), least of all in European countries,” Erdoğan said. 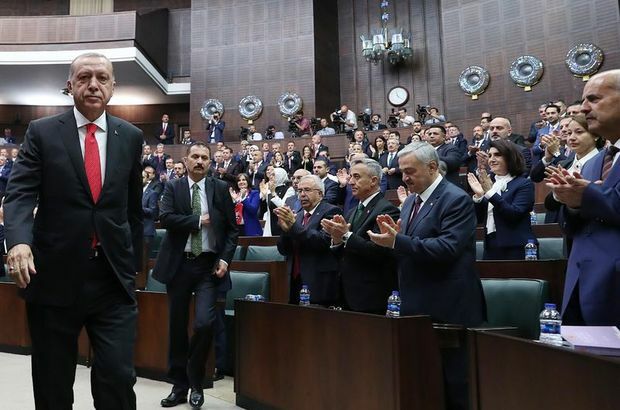 Following the prologed jailing of many HDP deputies including the party’s then-joint leaders in the last parliament, many of Erdoğan’s statements have indicated that the CHP may be a future target. Erdoğan added that while Turkish economic and diplomatic relations were very good with a range of countries in Asia, Africa and South America, relations with Europe needed to be reset “on the basis of equity”.